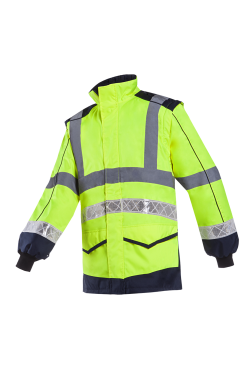 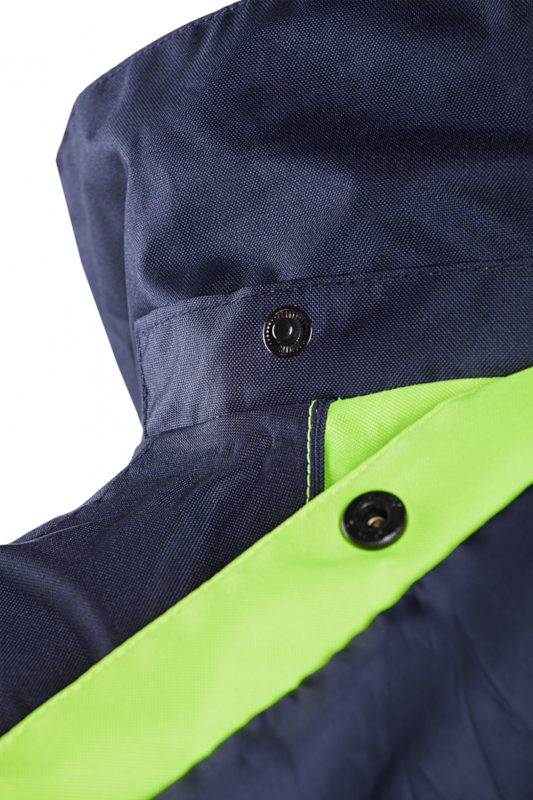 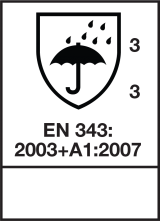 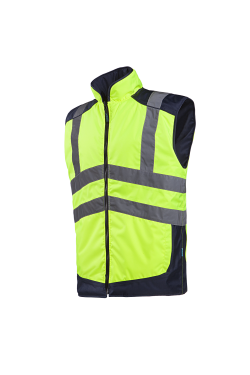 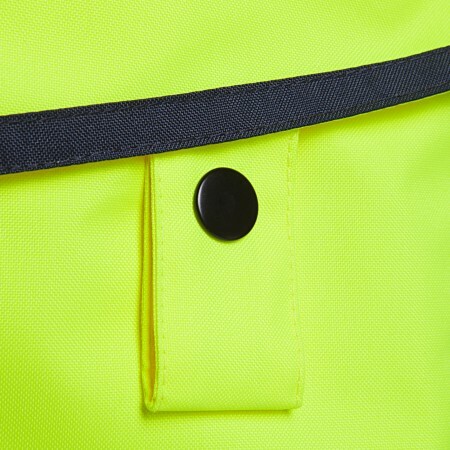 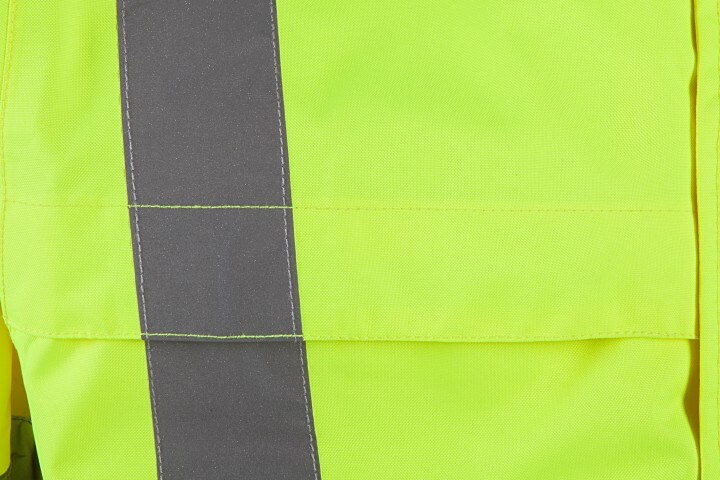 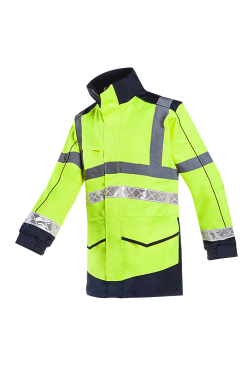 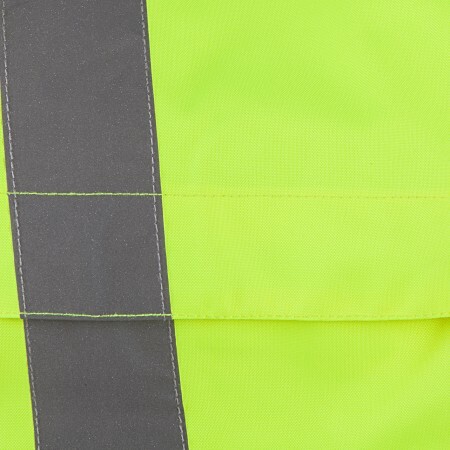 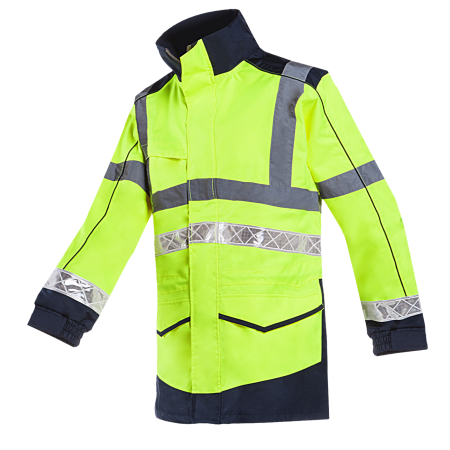 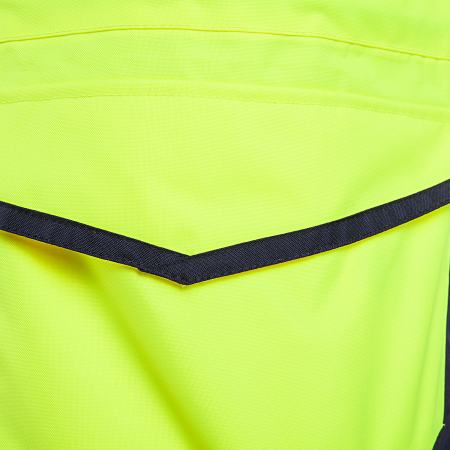 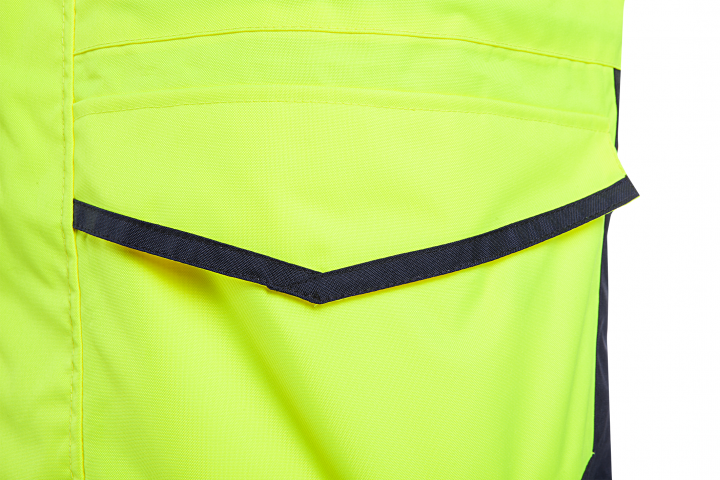 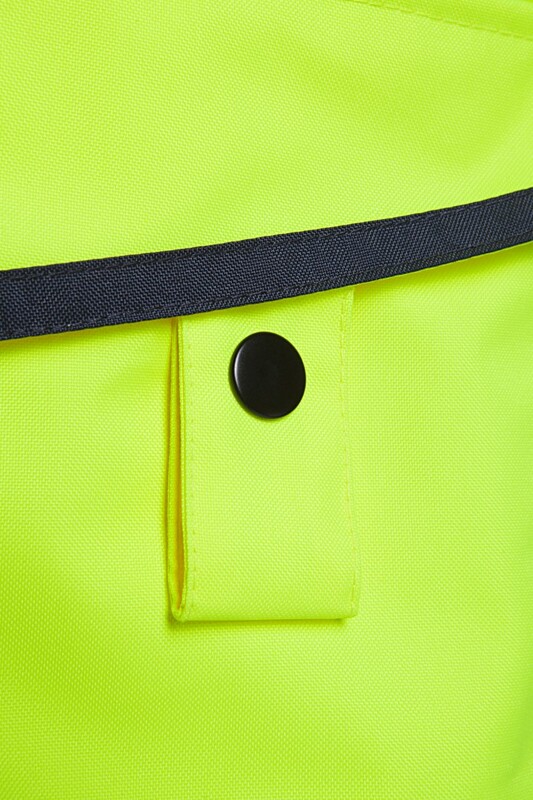 This stylish hi-vis rain parka with breathable, water-repellent outer fabric and moisture-absorbent coating on the inside keeps you dry and comfortable at all times. 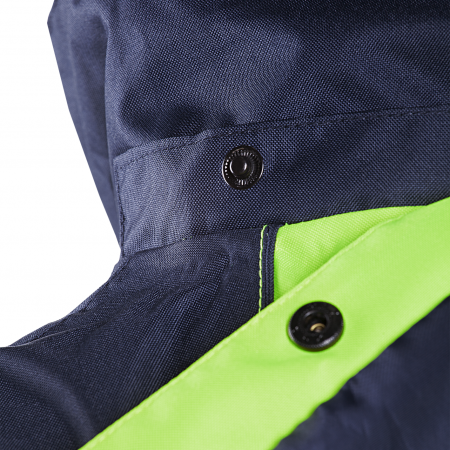 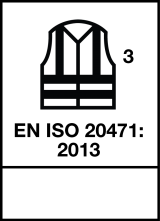 For your convenience, the hood is removable, underarm ventilation is provided, there is a drawstring at the waist, and the elastic wrist bands on the sleeves can be narrowed. 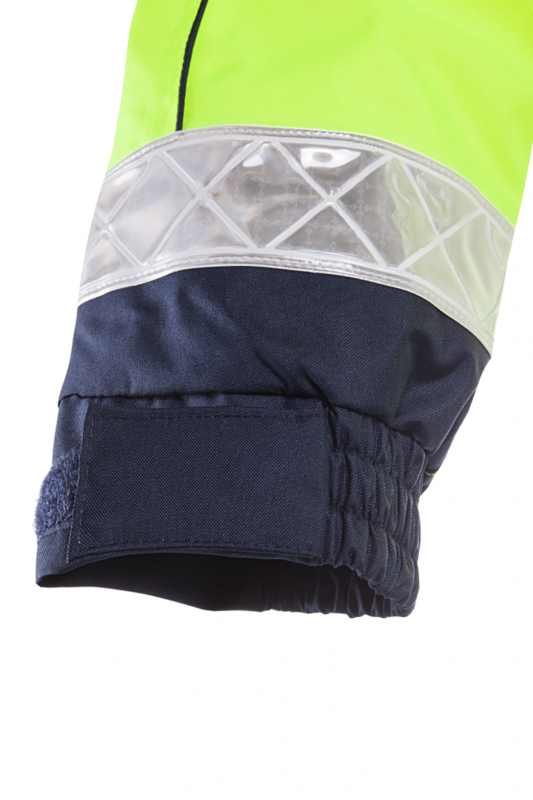 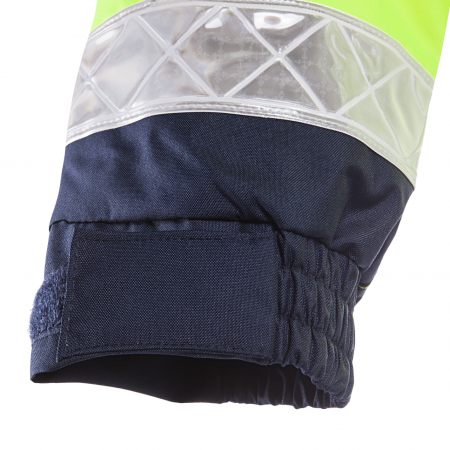 The standing collar and knitted wind cuffs in the sleeves keep out the wind.